Once upon a time, she dreamed of having her own bird. Then he arrived. And he challenged her mind. And her dreams grew. And she wanted to help more. 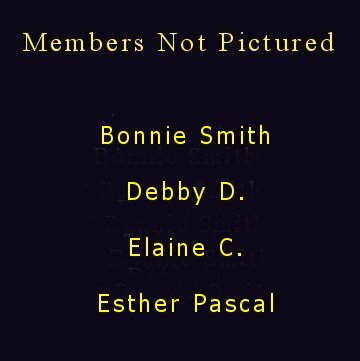 started the Cockatoos list at Onelist. welcomed and helped. Our motto became, "thousands helped with smiles and kindness." optimum potentials. Polite diversity was welcomed. Cliques were discouraged. who seek our counsel and friendship. anniversary this September. Just how many birds have been helped? 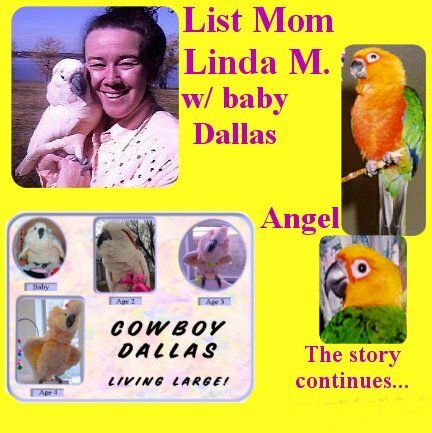 Congratulations Linda Middleton and Cowboy Dallas! 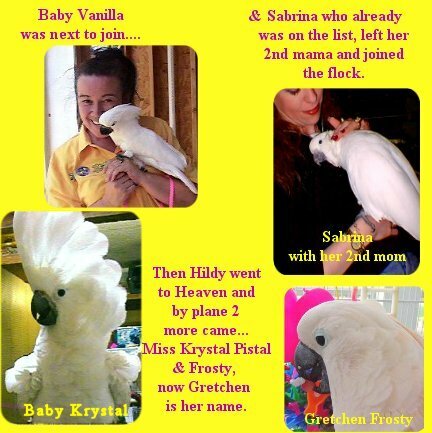 to share our birds, stories, lives, tears, and laughs. 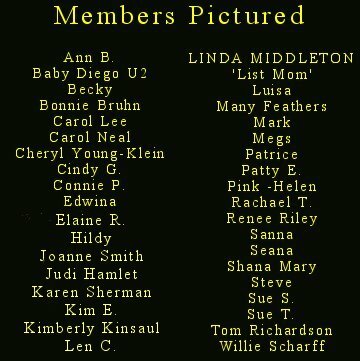 In our FOURTH year,(2002) we celebrated the following members...who were here from year one and still here to celebrate our 4 year anniversary! 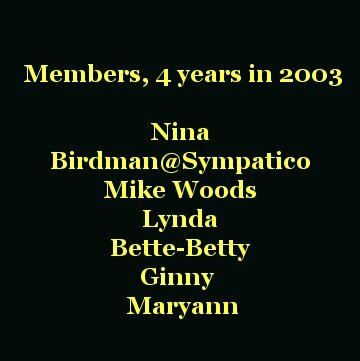 And....in year 5,(2003) we celebrate those who joined in our 2nd year, and still here, still helping, sharing, learning, caring.